Feelings are running high at many David Lloyd clubs across the UK as the company’s cull of squash courts continues. It is understood that more than 100 courts will disappear nationwide, despite squash players trying to fight the closures. Squash members in Derby staged a mass protest outside the club after receiving the news that both courts are to be closed to make way for a new fitness class called Blaze. 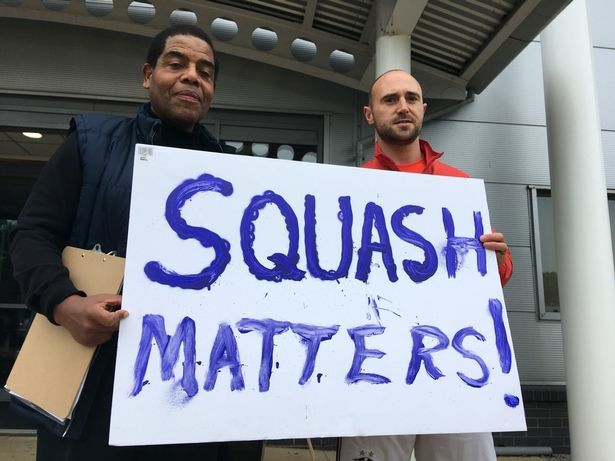 On Teesside, angry squash members also staged a protest on the premises. Both groups brought in the local media to support their campaign to keep the courts open. But, like most sites across the country, the management took no notice of the lobbying from the squash community and ploughed ahead with their plans to convert the courts into Blaze studios. Hundreds of supporters signed a petition to save the Middlesbrough facilities, which are used by the recently promoted Teesside squash team. One angry squash player, Jason Hadlow, was interviewed by Teesside Live and said: “Some 20 years ago, David Lloyd came to Teesside and sold the health benefits of a purpose-built racquets centre to our community and offered us the chance of to join a club, to become members. Sadly 20 years on we find we are now customers, not members. “Long after Flash Dance or whatever it’s called has disappeared, people will still play squash. The decision, he added, was taken without any consultation with local club members and consideration for the squash team, who won their division last year. The Derby Telegraph reported on a 70-strong demonstration outside the Pride Park club following the decision to close the courts inside the next month. Squash player Robert Orford said: “There are many people disappointed by this decision. We’ve had 70 people here old and young join us today in this protest who want the courts to stay. 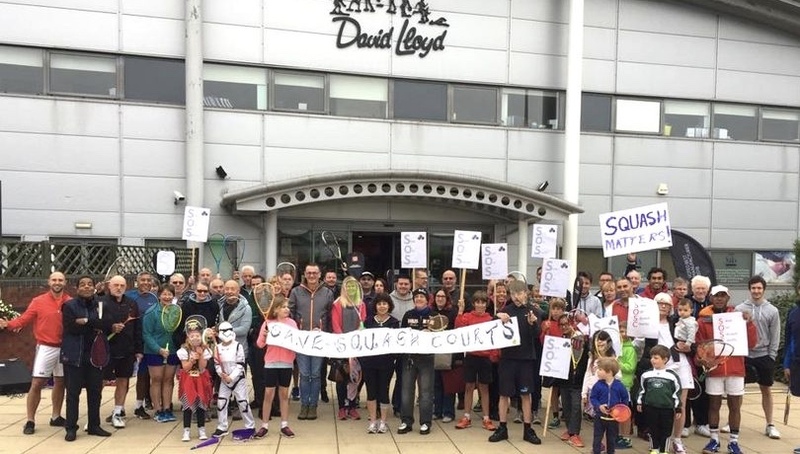 “I feel David Lloyd has breached its term and conditions by not letting people aware, as it should give three months notice of any facility closure. “Squash is a special sport because it is simple and fun to play and provides people with a great social interaction. We could go to to Duffield (where another squash club exists) but for a lot of people that means an expense and a change of lifestyle. 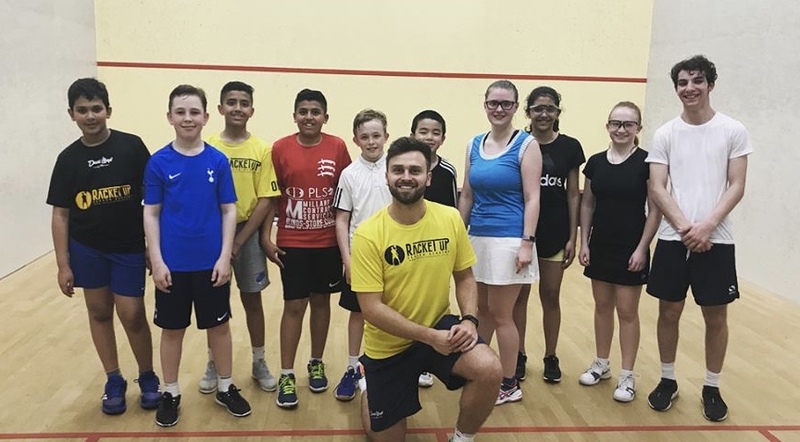 The one spot of good news for squash players is the decision to retain the two courts threatened with closure at the David Lloyd Club in Gidea Park, Essex, where coach Niall Engerer has built up a thriving squash community. At the Hampton club on the other side of London, the Blaze sign has already gone up where two courts used to stand. Squash members have threatened to resign en masse to join the nearby Richmond Town club.